Leslie Smile Hoyle received her B.M. in Violin Performance with Michael Davis and Charlies Wetherbee at the Ohio State University in 2005. She received her M.M. in Violin Performance and Suzuki Pedagogy with Ronda Cole at the University of Maryland in 2007, also serving as the University of Maryland Suzuki Violin Program Administrator in 2007 and 2008. Ms. Hoyle served as Suzuki Instructor and Co-Administrator of the Animato Suzuki Violin Program, LLC from 2008-2012. She has also served as Private and Group Violin Instructor at Henson Valley Montessori School, Highland Park Christian Academy, and St. Mary’s of Piscataway Catholic School. Ms. Hoyle has served as a professional sectionals coach for Bethesda-Chevy Chase High School Orchestra and as a volunteer sectionals coach for the College Park Youth Symphony. In addition to Suzuki training, Ms. Hoyle has also had training in Every Child Can and Music Mind Games. 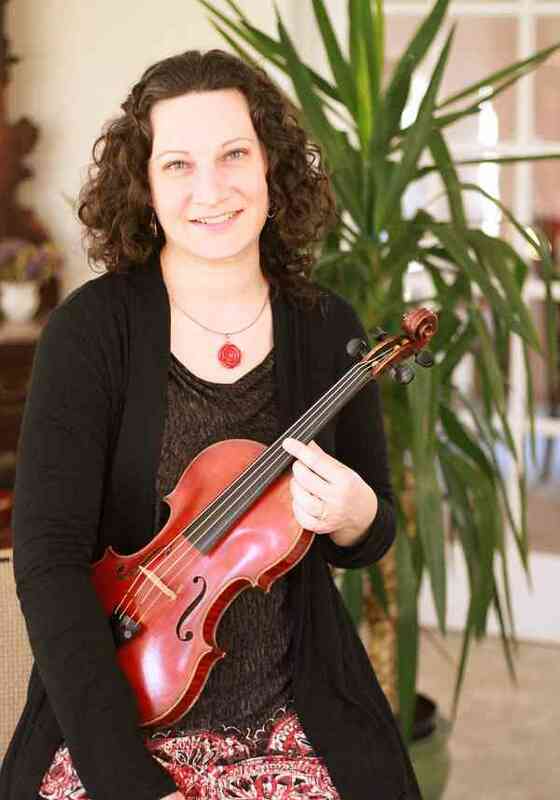 Ms. Hoyle currently serves as Music Mind Games Instructor and Suzuki Violin Instructor/Program Administrator for the Academy of Fine Arts Suzuki Violin Program in Gaithersburg, MD and also in her private home studio, Cadence Violin Program, in Mount Airy, MD.